Sweden is one of Europe’s soaring success stories when it comes to FTTH/B – it ranks eighth in the world (and second only to Lithuania in Europe) when it comes to penetration, standing at 26.5 per cent and still growing exponentially. To find out what the impact of FTTH actually was, Diffraction Analysis carried out research for the FTTH Council Europe in 2013, through an online survey of 400 respondents – 300 of them fiber broadband customers and 100 DSL users. 45 per cent of FTTH users said they were "very satisfied" with their service compared with just 28 per cent of DSL customers. Satisfaction levels rose to 73 per cent for FTTH quadruple play subscribers. FTTH users spent more time online (5.3 hours against 4.1 hours per day) and were more likely to use high-bandwidth applications such as video streaming and music. When questioned about aspects of their connection that they considered most important, again FTTH users were more satisfied than their DSL peers. Satisfaction isn’t related to cost – fees were roughly equivalent for the two groups. However, showing the greater perceived value of FTTH – 59 per cent of DSL users thought their service was over-priced compared with just 32 per cent of FTTH customers. Then there’s the value-added part of the equation. FTTH users are much more likely to be planning to upgrade their connection within the next 12 months. Meanwhile, DSL customers wanted a better service but said they were either locked into contracts or had no option of improved quality. 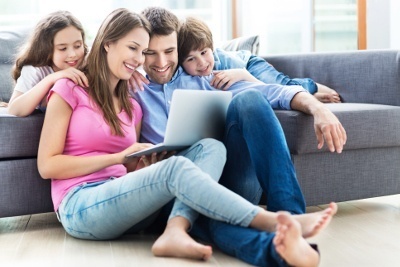 And when it came to considering a new home, FTTH users said that connectivity came second after house prices while DSL users put this way down their list of priorities. The Swedish experience and research have had a major impact on the rest of Europe. The researchers were keen to emphasize the differences between Sweden and France – the former market is weighed heavily to single and double play offers while the Gallic experience leans much more towards quadruple play. Additionally, prices for FTTH in France have traditionally been higher and penetration rates and satisfaction levels lower, in comparison with Sweden at least.Following on from the Scandinavian study, further surveys were conducted in France and Portugal, also for the FTTH Council Europe. Yet the research found that more than three-quarters of French customers found their FTTH solution "better" or "much better" than their previous non-fiber solution. Essentially, the report concluded that while France was a less mature market than Sweden customer satisfaction is soaring. 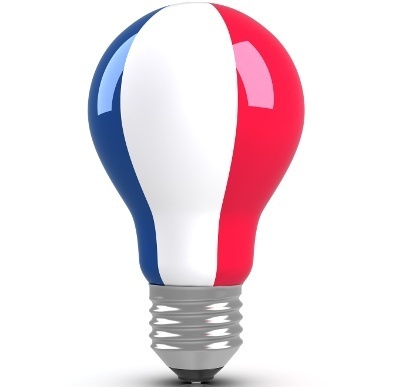 Demonstrating market momentum and the switch to fiber, Orange is planning to triple investment in FTTH in France by 2020 and increase the number of connected homes to 12 million in 2018 – from a level of 3.6 million last year. It has also pledged to reach 100 per cent FTTH coverage in nine cities by the end of this year. Portugal is another mature market for FTTH, with operators such as Vodafone now covering two-thirds of the country and Portugal Telecom winning a Council of Europe award for its fiber rollouts. Again, Portuguese FTTH consumers are very happy with their lot. 88 per cent described themselves as "satisfied" or "very satisfied" with their service, compared with just 75 per cent of DSL customers. More than 80 per cent of DSL customers said they planned to upgrade to FTTH and felt they were paying too much for the service they were receiving. All of this research – and a US study that showed fiber boosted house prices by 3.1 per cent show the long term benefits of FTTH – happier, more loyal and potentially higher spending customers. At a time of intense competition, operators, therefore, can’t afford not to factor fiber into their future plans.